The device is a new generation wireline blowout preventer (BOP) ram seal that controls well fluids during wireline intervention operations. It has evolved from earlier commercially proven ram seals, but improved to be more reliable and operate under greater pressure and temperature conditions for longer. NOV ASEP Elmar, a specialist in the design and manufacture of wireline pressure control equipment, says its performance has been verified by an independent but unnamed third party, making it the first in the industry to obtain an independent review certificate. The seal has a working pressure of 15,000psi (pounds per square inch), is proven to perform at temperatures ranging from -46C to 180C, and can seal on a range of wire sizes. In the event of the absence of any wire due to planned or unexpected cutting, it can seal blind to prevent a loss of well control for at least 12 hours, according to the company. In an emergency, BOP rams activate to a closed position. However, if a ram seal fails on activation, or cannot contain liquids for a long enough period to allow crew members to control the situation, hydrocarbon may escape and in a worst case scenario ignite. The decision to develop Constrictor in an effort to reduce the risk of such an event happening during wireline operations is the outcome of research and development work carried out by NOV ASEP Elmar’s in-house engineering team, which is based in Aberdeen. 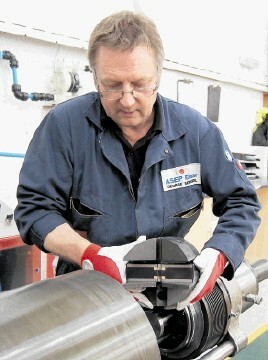 Andrew Douglas, a director at the company, said: “When faced with unexpected well control incidents or other events, having a reliable ram seal is one of the most important safety barriers preventing uncontrolled release of pressure and ensuring the safety of drilling rig crews. “There are many lessons to learn from recent accidents, and we are seeing a definite shift in attitudes across the industry towards proving that critical components in pressure control equipment won’t fail. “It is no longer acceptable to test a product at minimum requirements without a third party approved design – products need to exceed minimum standards in order to maintain well integrity. “NOV ASEP Elmar is driving the verification of pressure control components, by being the first company to bring enhanced ram seals to the market that are third party witness tested under extreme conditions and circumstances. The company said it had secured a number of significant orders for this component in North America. It also expects high uptake worldwide, particularly in the US Gulf of Mexico, the North Sea and across the Middle East. 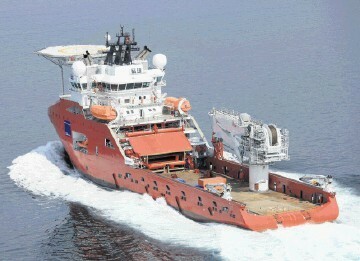 The Westhill-based firm will demonstrate Constrictor at Offshore Europe on National Oilwell Varco’s stand 5B90. It will also be on display at their nearby open house.